1. WHAT YOU SHOULD KNOW! Wedding Photography is no easy subject and interviewing potential wedding photographers can be a daunting task. Regardless of if you are hiring the "At First Click" or another photographer, we have found a list of 15 questions to help you find the perfect photographer for your wedding day. 2. WHAT IS YOUR PRIMARY STYLE? This should be your first and foremost question as this is the style of photography that interests you. At "At First Click" Photography we are primarily photojournalists with hints of traditional, fun, and modern wedding photography techniques. We like bright and vibrant photographs with a whimsical and romantic theme. Along with some dramatic images to round out your gallery. 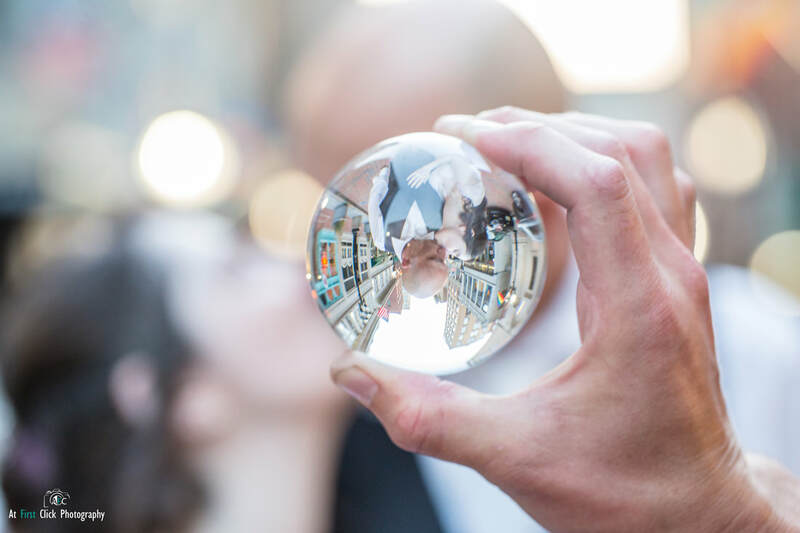 For more about our wedding photography style and philosophy, Contact us today. 3. HOW MANY WEDDINGS HAVE YOU SHOT, AND HAVE YOU SHOT ONES SIMILAR TO MINE? This is a great question to get an idea of how much experience your photographer has in general. Years are not a good gauge of experience since some wedding photographers may work part time, and only shoot five weddings a year on weekends. Thus, maybe they have five years of experience, but they have only shot 25 weddings. We Photograph 20-30 weddings per year. 4. HOW MANY TIMES HAVE YOU WORKED SPECIFICALLY AS A WEDDING PHOTOGRAPHER? 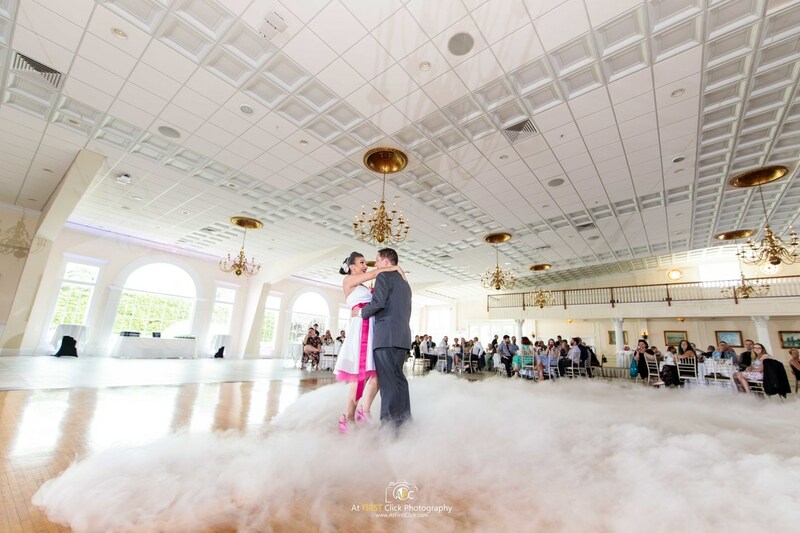 This question is designed to find out if the photographers are specialized in wedding photography or they are “one-stop-shop-photographers.” More specifically, you would be better off looking for a photographer that specializes, not only in wedding photography but the style of wedding photography. Again we photograph around 20-30 weddings per year. 5. HOW MANY OTHER EVENTS WILL YOU PHOTOGRAPH THAT WEEKEND? Larger studios with multiple master photographers will often double and even triple book dates since they have the resources. However, smaller studios may plan multiple weddings on a weekend without having the resources. Imagine a studio with a single wedding photographer shooting 2-3 weddings on a weekend, the attention to the detail, and to the client the service could suffer in these circumstances. 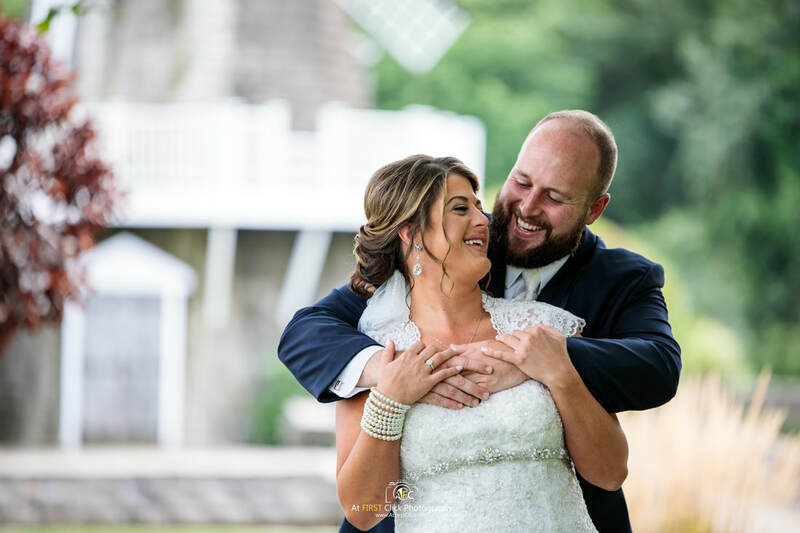 "At First Click" Photography is a family owned photography business and we focus on only 1 wedding at a time so that each client can have our full attention to detail, time and emotions that goes into capturing those amazing moments. 6. WILL A CONTRACT OF THE SERVICES BE PROVIDED? 7. WHAT HAPPENS IF THE PHOTOGRAPHER IS ILL? While it is unlikely that the photographer happens to get ill on your wedding day, there is still a chance. It is crucial that the photography studio does something to take care of the situation in case of illness. "At First Click" Photography has Two equally skilled master photographers (Paul, and Stephanie) that can take over in case someone is sick. Along with a team of skilled backup photographers. 8. DO YOU HAVE INSURANCE? Professional wedding photographers should have the proper insurance for their business. Insurance protects the photographer against equipment theft, but more importantly it provides liability protection in case Great Aunt Sophie trips over the photographer’s bag and breaks her leg. If a wedding photographer does not have insurance, chances are they are new to the industry or are not taking their business seriously. "At First Click" Photography carries general business, equipment and liability insurance. 9. DOES THE PACKAGE I AM INTERESTED IN INCLUDE AN ASSISTANT? If your wedding has 50 or more guests, you should make sure you step up to a package that has an assistant photographer. Aside from the wedding site, there are many moments in which one single photographer cannot cover completely alone. There is no way to capture the first kiss, and at the same time, turn around and get the tear in mother’s eye. We will provide you with the exact number of photographers or assistants ahead of time. 10. DO YOU ALLOW ME TO CHOOSE A CERTAIN STYLE OF POST PRODUCTION? Another factor in how your pictures will look is the style of post production that the studio employs. That is to say, they do post-produce your images. Be extremely careful, as many studios don’t post-produce your images, rather they give them to you unfinished and straight from the camera. In this situation, you are not receiving a finished and professional product. Unique to "At First Click" Photography is that we specialize in timeless post production techniques, we allow each and every client to select which styles of post production they like which we use to then post-produce their images. 11. WILL YOU COLOR CORRECT MY IMAGES? Since color correction is the basic post production, it should be used on every single image. Many photographers will not color correct any, or will only color correct “select” images from your wedding. This means that you may have a lot of pictures where your skin tones are orange, yellow, red or even blue. "At First Click" Photography color corrects every single image from your wedding to make sure each and every image is a professional quality product. 12. WHAT KIND OF EQUIPMENT DO YOU USE? DO YOU HAVE BACKUPS? Our studio uses top quality camera bodies (5D Mark IV) along with the finest quality L lenses from Canon. While wedding photographers don’t necessarily need the best of the best, it is important to have a good set of equipment. Make sure your photographer has at least the following items along with backups. Nothing would be worse than for the photographer to miss half of your weddings because his camera or lens broke, and he didn’t have a spare. We have prepared a list of must have equipment that we believe a professional wedding photographer should have. This is a bare minimum list, so be wary of any wedding photographer that doesn’t have these items. 13. IF MY EVENT LAST LONGER THAN SCHEDULED, WILL YOU STAY? IS THERE EXTRA CHARGES? Knowing up front the photographers policy on overages is critical. You don’t want to be surprised when your wedding photographer asks for an additional $1,000 before they release your pictures to you. Even worse, you don’t want your wedding photographer to just pack up and leave when their time is up. We will stay and price varies per contract. 14. WHAT ATTIRE WILL THE PHOTOGRAPHER AND THEIR ASSISTANTS WEAR? Even though the wedding photographers are a big part of the wedding day, it’s important that they are not distractions. As such, it’s important for the photographer to blend in as much as possible. Furthermore, for religious or cultural ceremonies, there may be certain colors that are considered taboo. Make sure your photographers will be dressed appropriately for the occasion. Typical "At First Click" photography attire is black suit pants with a black polo or dress shirt. We dress completely in black because we want to go unnoticed by the clients and guests, so that we can capture the event as photojournalists. 15. HOW LONG AFTER THE EVENT WILL THE PROOFS, ALBUM, ETC BE READY? Each wedding photography studio varies in the time it takes to produce and deliver your pictures. Studios that do not do any post production or color correction may try to entice you by saying your photos will be ready within the week, or even the next day. However, most studios that develop and produce their images will take anywhere from 2 weeks to 6 months. 1-2 Weeks for Engagement, Family, Newborn, Anniversary Photography Sessions. 3-6 Weeks for Weddings and Receptions.